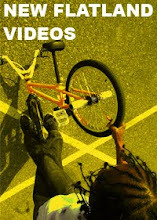 FlatMode: BMX Plus Photo Shoot! I have to give props where props is due...word up to the crew at BMX Plus! magazine. They have not missed an issue since they started and they are fully behind flatland. They aren't on any "star system" and really connect with the flatland community whenever we call. If you are busting out, it doesn't matter if you are sponsored or not, they will come through and get the coverage. So the other day, Mike Robbins said he had a trick he wanted to shoot. A quick call to Plus! and we set up a shoot in downtown LA. Simple as that. Earlier shoots were set up for Ahmed Johnson and Amahl Kaliq. They both received full page photos and were introduced to the rest of the community. The boys rolled out for a night session with BMX Plus! Ben Crockett setting up for the shoot with yo' boy, Mike Robbins! Viki Gomez showed up for the session unexpectedly! 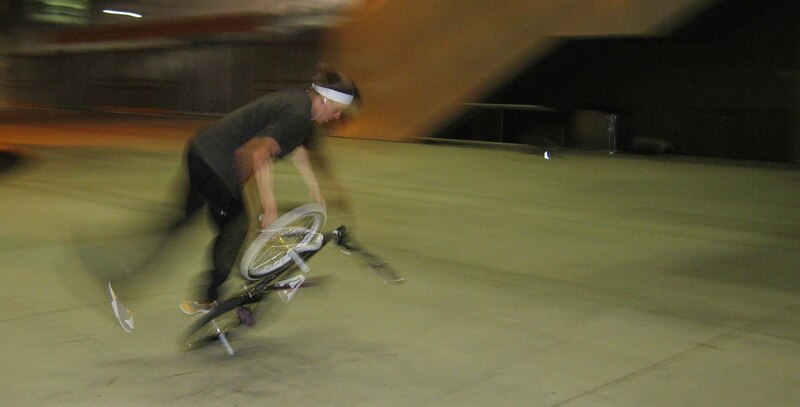 Bo Wade has been putting in work on that back wheel! It's Hollywood Steve! Yo Hollywood....twizzlers and pizza don't mix, dude!